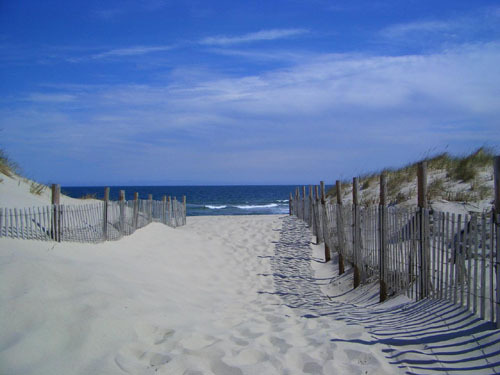 Seaside Park is famous for its highly maintained, safe, spacious beach. With its clean white sand, the beach stretches two miles with a boardwalk that leads to rides and amusements at the north end of town. In the summer, lifeguards are on duty weekends from Memorial Day and daily beginning the second or third week in June until Labor Day. There are areas for fishing, swimming and surfing as well as two volleyball courts. During the winter months September 15th to May 15th, four wheel drive beach buggy permits are available for fishing enthusiasts.